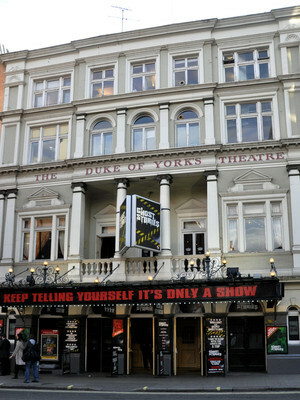 The Duke of York's Theatre is a West End Theatre located in St Martin's Lane, and originally opened in 1892 as the Trafalgar Square Theatre, designed by architect Walter Emden. By 1895, it became the Duke of York's, in honour of the future King George V. The theatre was bought by The Ambassador Theatre Group in 1992, and has been the group's London headquarters since. In 1960, the theatre was Grade II listed by English Heritage. Please note: The term Duke of Yorks Theatre as well as all associated graphics, logos, and/or other trademarks, tradenames or copyrights are the property of the Duke of Yorks Theatre and are used herein for factual descriptive purposes only. 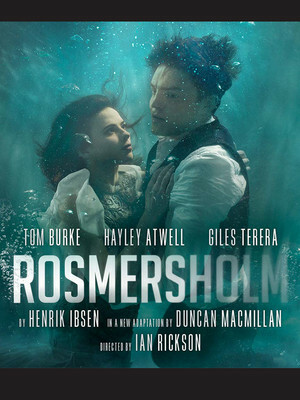 We are in no way associated with or authorized by the Duke of Yorks Theatre and neither that entity nor any of its affiliates have licensed or endorsed us to sell tickets, goods and or services in conjunction with their events.